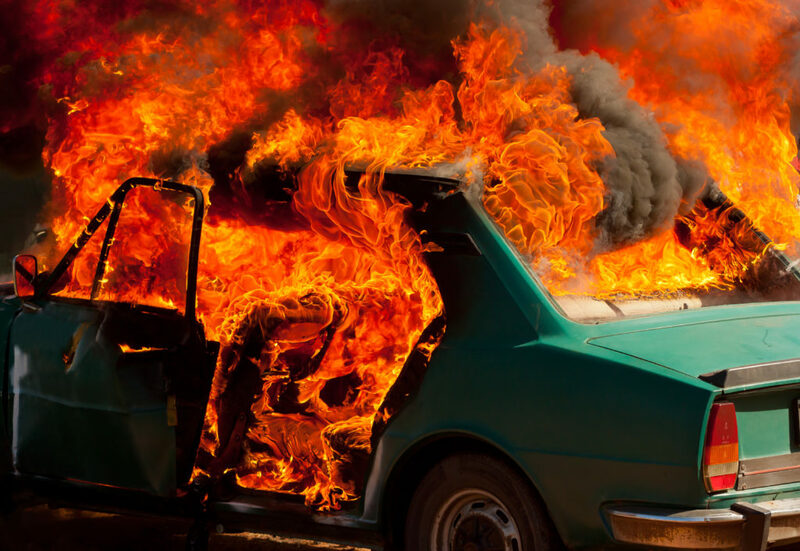 One of the most famous vehicle product flaws was the exploding Ford Pinto gas tank of the 1970s. The video on the news of a Ford Pinto exploding after a rear-end crash brought car safety into the public forefront. It was also one of the first automotive defect cases taken to court on a large scale throughout the nation. Post-collision fuel-fed fires still happen and can still be caused by manufacturing and design defects. As the name implies, post-collision fuel-fed fires are caused by fuel being released from the tank as a result of a collision. This can happen because the gas tank is not correctly guarded and is pierced from a collision. It can also happen when an accident causes the filler neck to be drawn out of the tank, releasing a large amount of gasoline. High-quality pictures will be needed to help establish the fuel tank as the source of the fire. Many vehicles are now manufactured with a device that stops the flow of gasoline if the filler neck becomes dislocated from the gas tank. This is a very easy and inexpensive fix and the most common safer alternative design. If the tank is punctured, the safer option typically would have been a stronger guarding device for the tank. The force of the crash will be very significant in these cases. Car producers try to defend these assertions by claiming the speed is such that no safer option is available that would have stopped the release of gasoline. An accident reconstruction showing the force of the crash, location of the impact, and angle of impact will be important to rebut this defense.